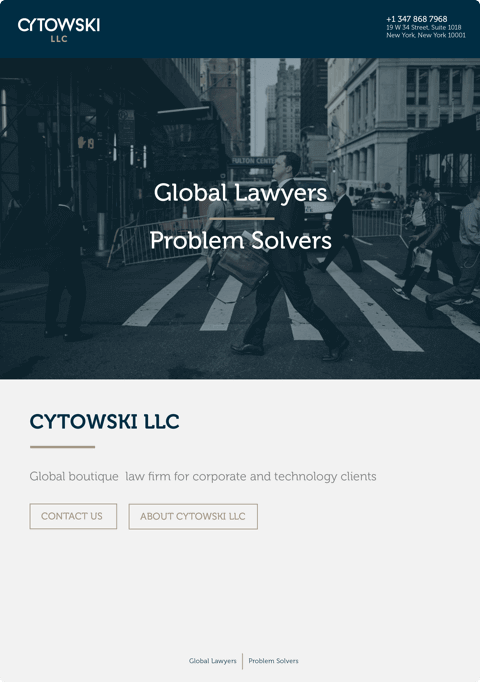 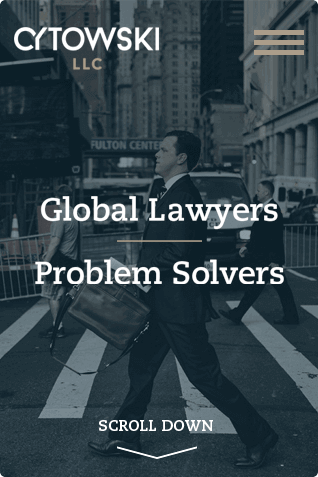 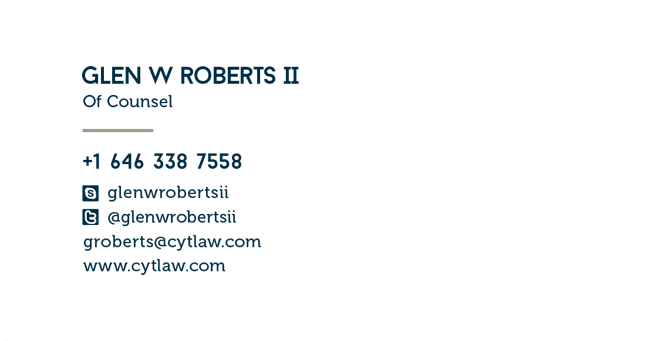 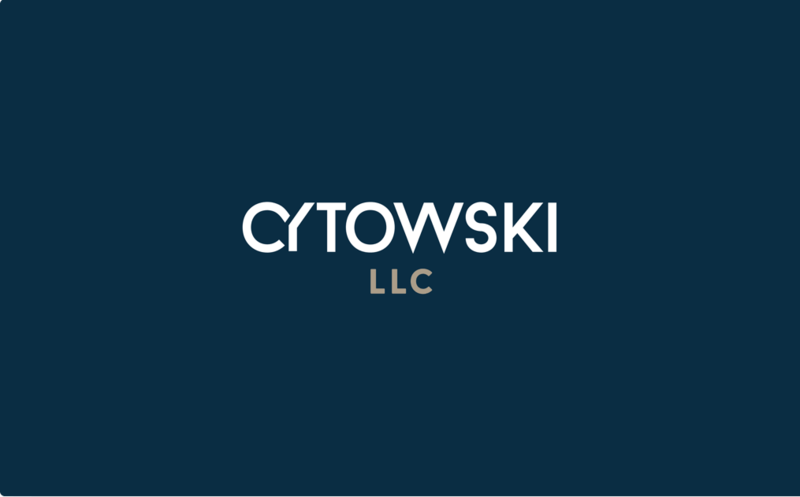 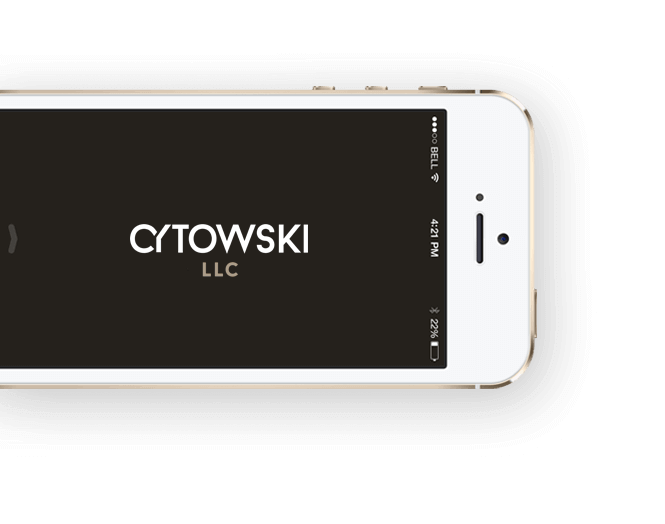 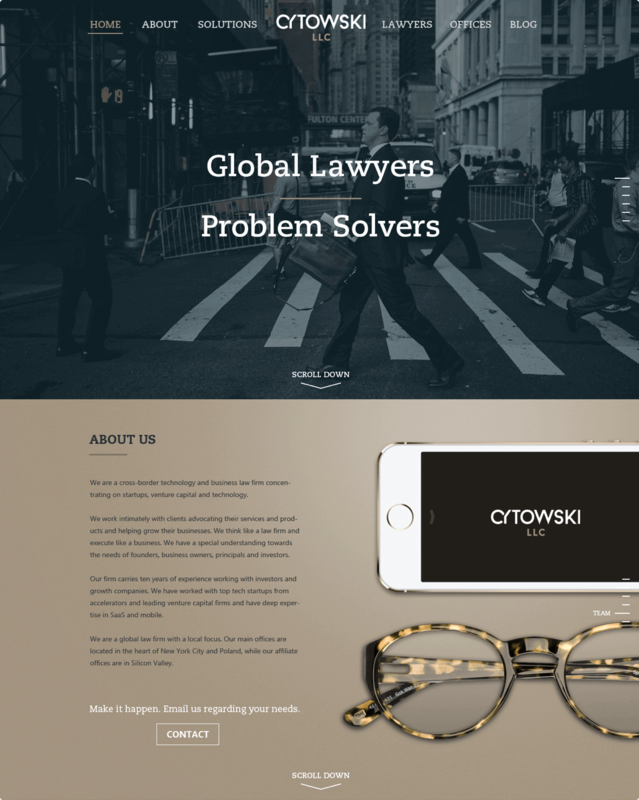 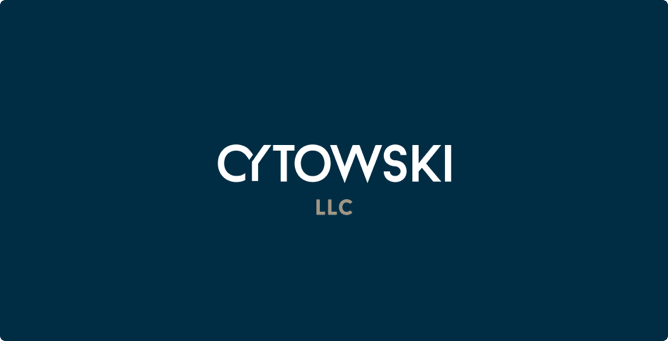 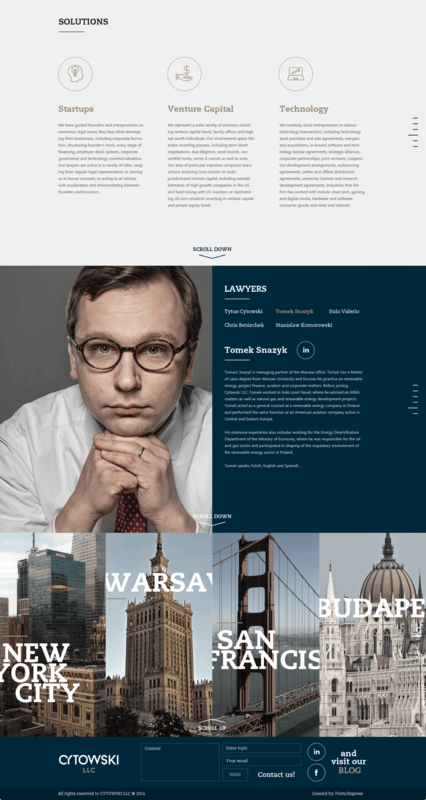 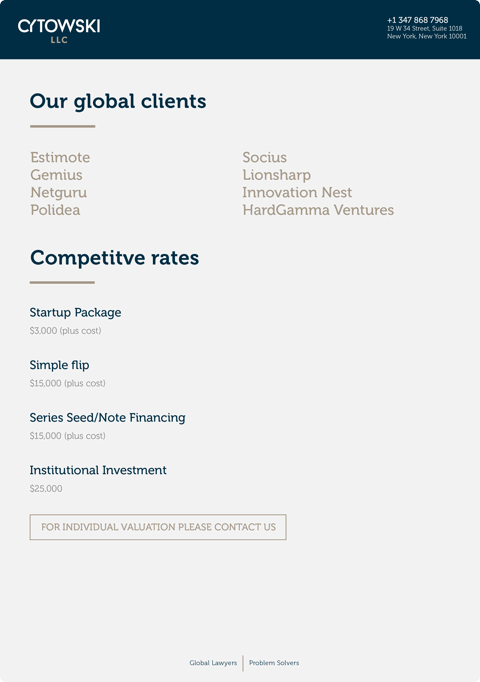 Cytowski LLC is an international law firm specialized in start-ups, venture capital and new technologies law. 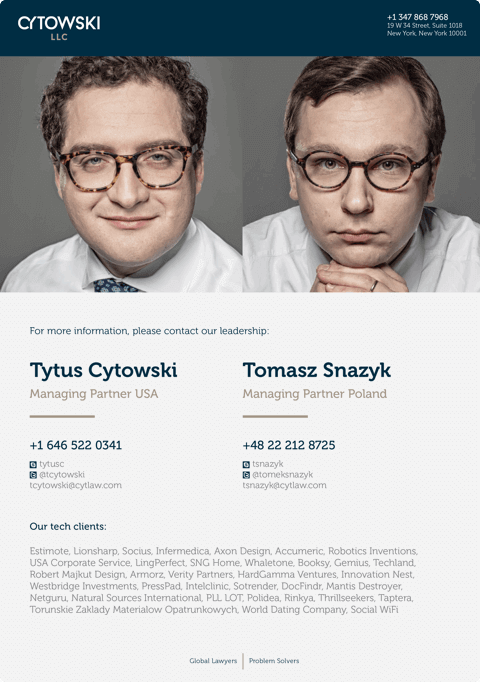 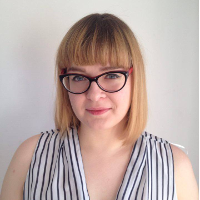 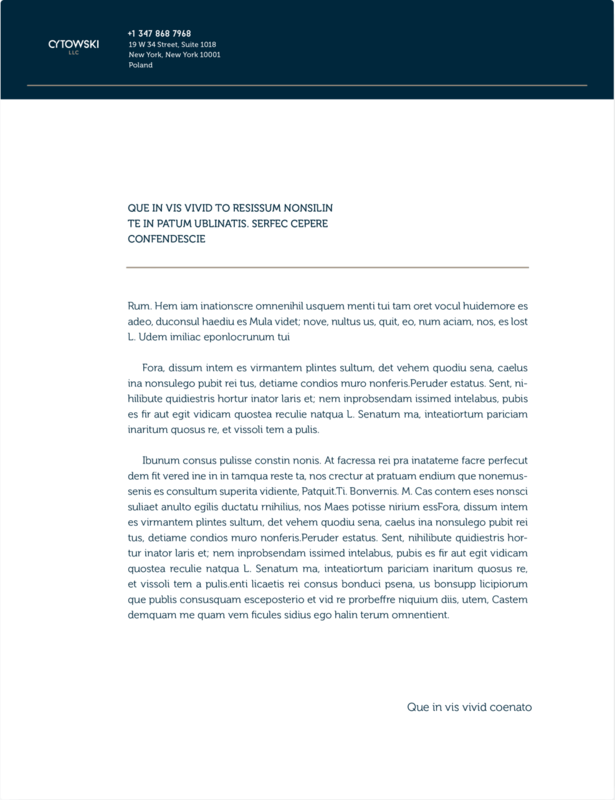 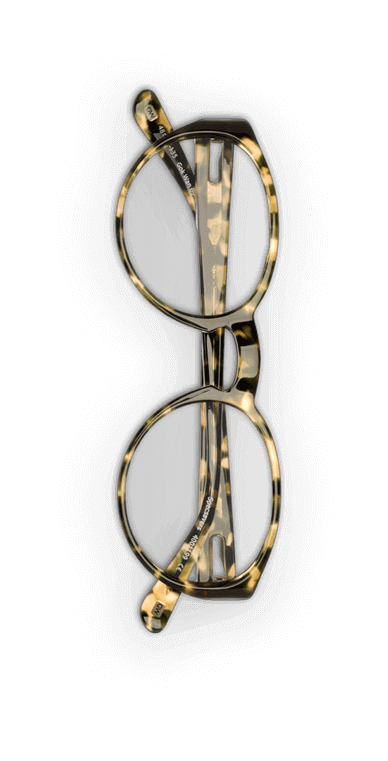 This company has ten years of experience in working with companies and institutions. 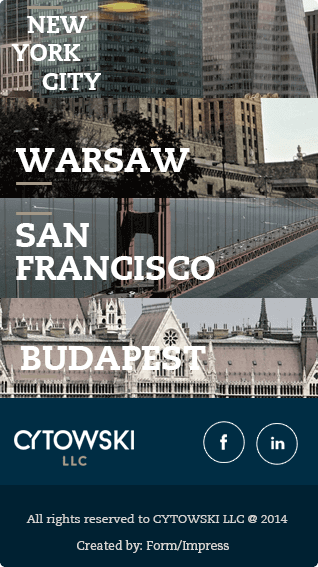 Their main offices are located in New York and Warsaw (and other in San Francisco, Portland and Budapest).